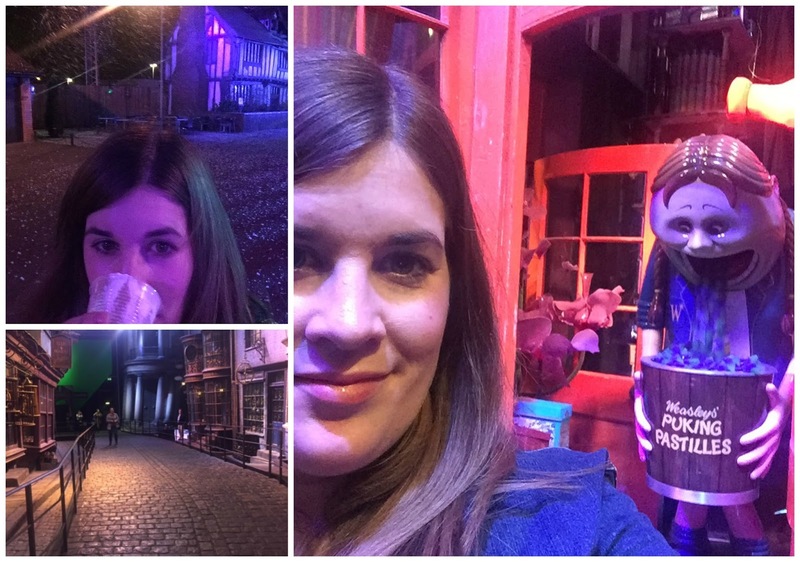 Last week Thursday my friend Justine and myself made our way to the Warner Bros Studios for a evening full of magic to attend the Preview Event of #HogwartsInTheSnow! For a limited time only Warner Bros. 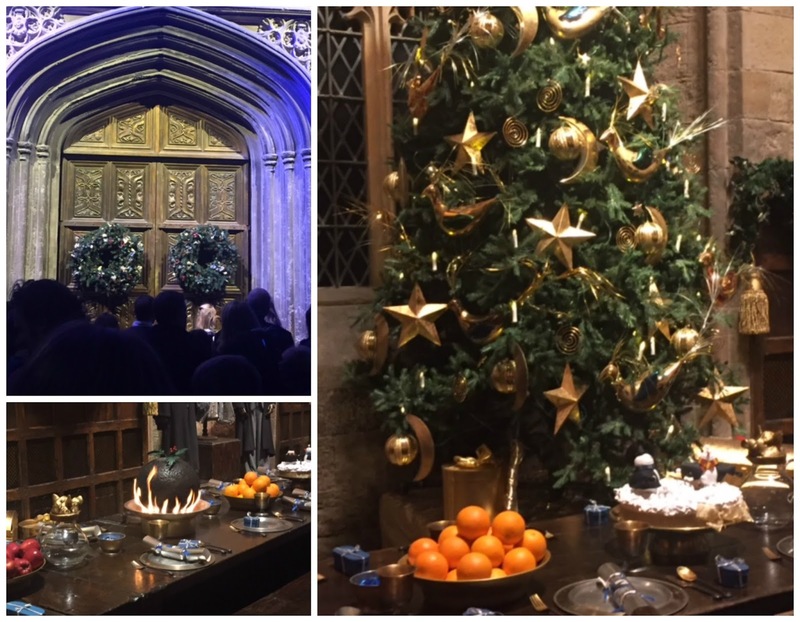 Studio is once again offering its visitors a breathtaking magical transformation, from a very festive Great Hall decorated with the original props seen in Harry Potter and the Philosopher’s Stone, you’ll see flaming plum puddings and the fireplaces lit for a Christmas feast! 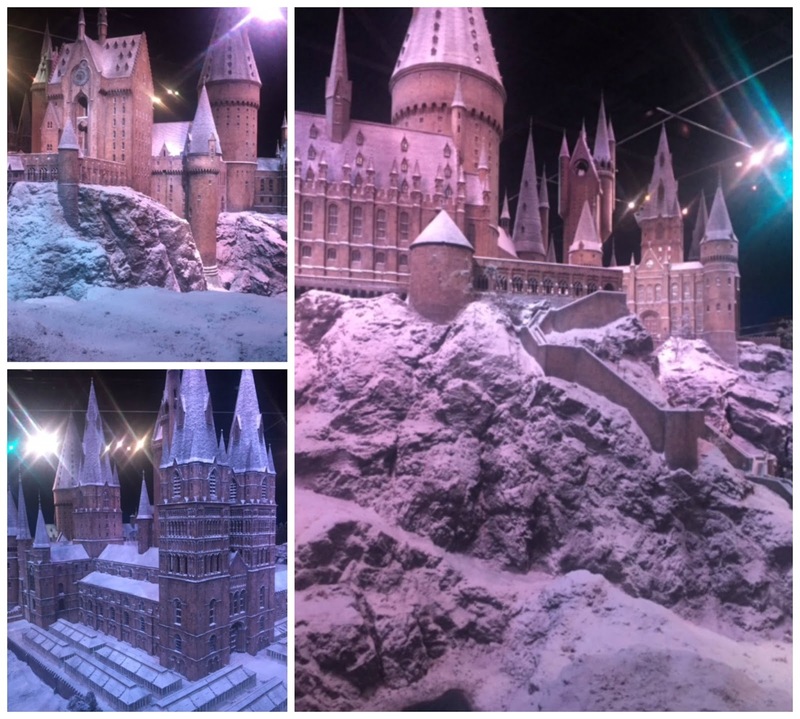 And the majestic Model of Hogwarts Castle has been covered in a blanket of snow all carefully hand sprinkled onto it. on its most magical makeover yet. For the first time this year, the Goblet of Fire will emerge from its original jewelled casket, rigged by special effects experts, and will be ‘lit’ with flames that change from blue to red. Those and many more special effects can be found all our the Warner Bros. Studio Tour this year and we where lucky enough to check it all out before it opened the doors to the public. Yummy smoky blue cocktails and a lesson in how to work the magic of a wand. The great hall all festive including the flaming plum pudding. 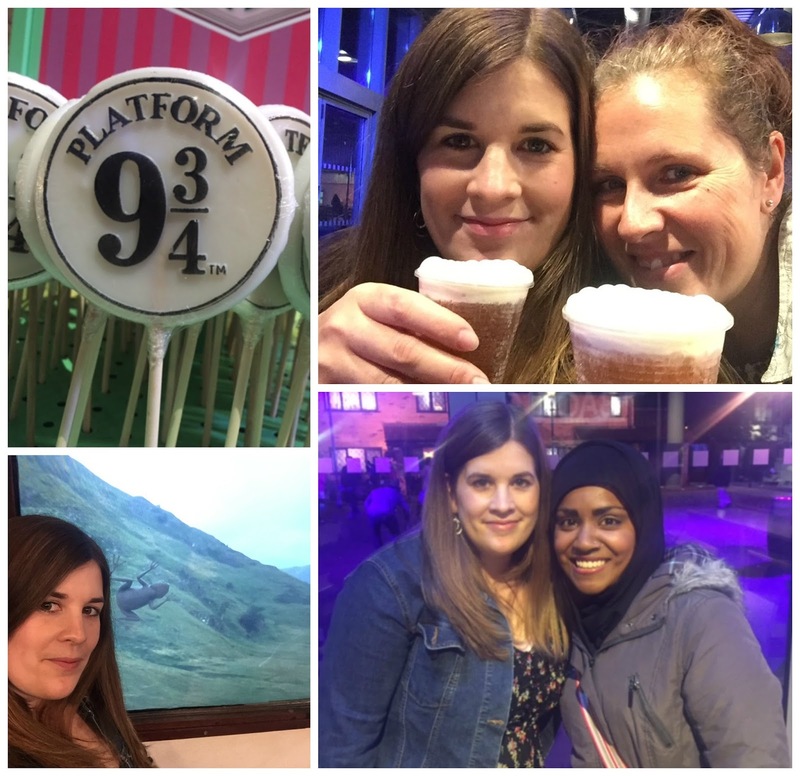 we arrived at Platform 9 3/4 and after a little train ride spotting some frogs outside the cabin it was onto some delicious Butterbeer and we bumped into Queen of #GBBO Nadia who was lovely! Butterbeer outside in the snow and how about some Puking Pastilles anyone?? 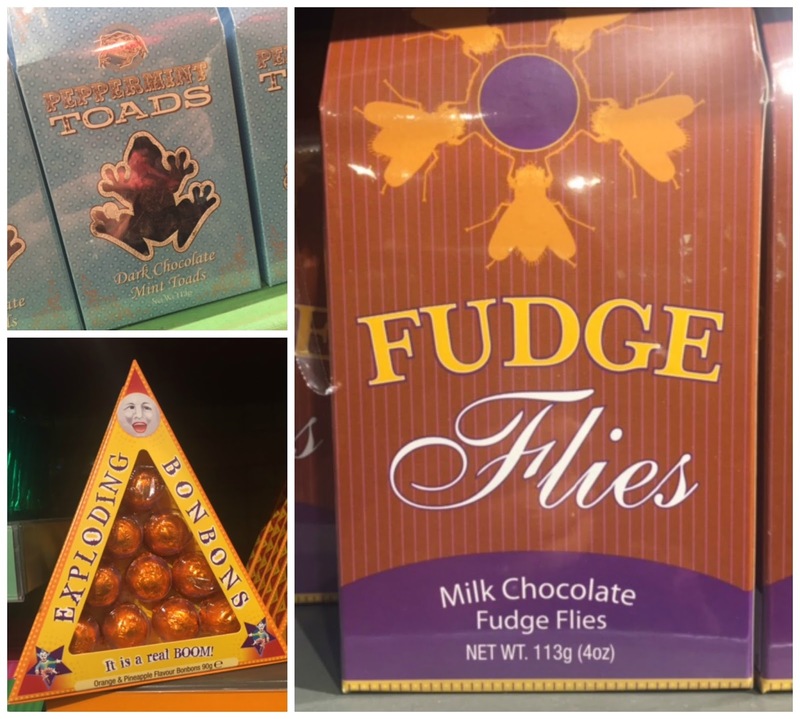 Some of the sweet goodies which can be found in the shop. 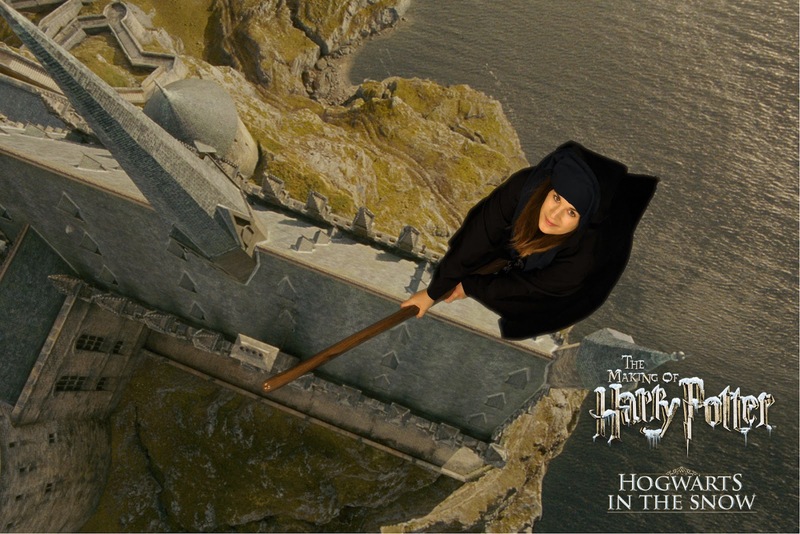 And i even had a ride over Hogwarts Castle on a broomstick now thats what i call a entertaining evening! I cannot recommend the Warner Bros. 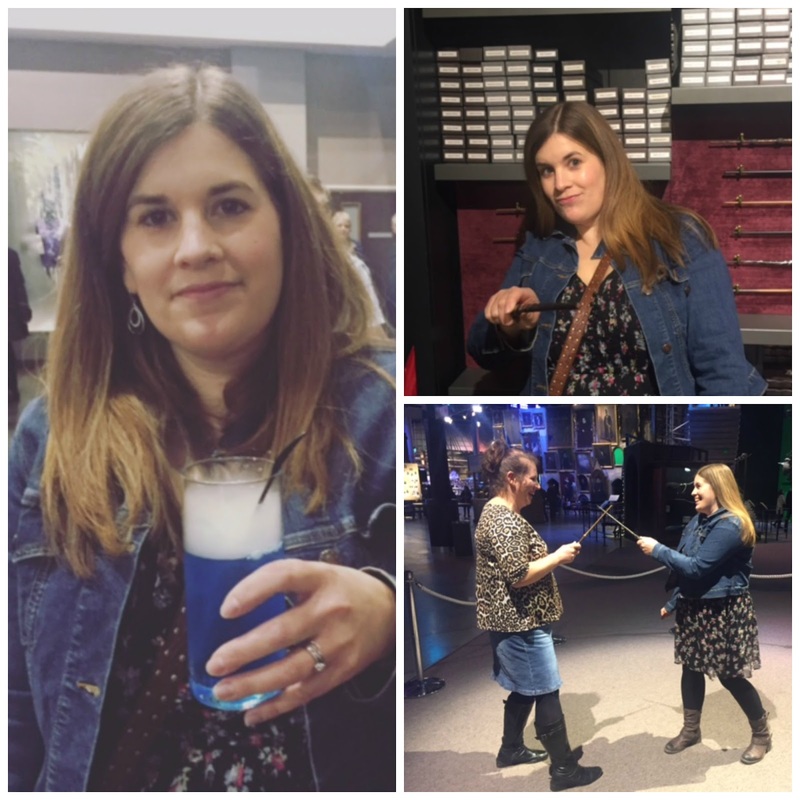 Studio Tour enough for any Harry Potter Fan out there and i will most certainly return again! After chatting to a fellow blogger on twitter i thought i let you know for those who would like to visit with younger babies the whole tour is very buggy friendly with big paths and the choice of ramp or stairs we did the tour in 4 hours so just that you have a estimate when visiting with children. Thank you Warner Bros. for inviting us onto this magical and mystical tour! 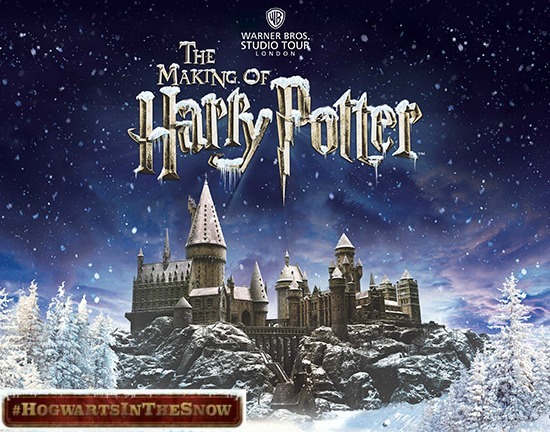 Hogwarts in the Snow is running until Sunday 31st January 2016 and all Tickets must be pre-booked (all extra activities are included in the ticket price) you can head over to the Warner Bros Studio Tour Website to book your tickets. Disclaimer: I have been invite to the Preview VIP event #HogwartsInTheSnow for reviewing purposes, but all thoughts and opinions are mine.